A MacBook air with built-in 3G cellular data? At this current point in technological time, a slim MacBook air with built-in 3G cellular data sounds like the perfect device. It would mean the end of having to hook up to lousy airport hotspots or shoddy WiFi in coffee shops. You’d be connected all the time and where you need it most– your laptop. With Google’s connected Chromebook and the increasing popularity of tablets, a 3G connected MacBook air makes a lot of sense. According to MacRumors, Apple has developed prototypes of the MacBook Pro with integrated 3G data, as evidenced by an eBay sale showing a never-released MacBook Pro prototype. Upon removing the top case it was immediately clear this was no normal Macbook Pro: the circuit boards inside were bright red as opposed to the normal blue! Further inspection found multiple differences from the stock version, most notably a feature never seen in a Macbook laptop of any kind: what appears to be a fully integrated cellular modem and SIM slot. There is an extendable cellular antenna located at the right top side of the display assembly (The antenna is marked with “Tyco Proto / #006” when slid out), and a standard size SIM card slot located underneath the memory cover on the bottom of the machine. The SIM card board is connected to the logic board via a connector not found on production machines. The solder footprint for it is still present on the production boards and not populated, which is interesting. This would seem to suggest that it was a last minute decision to remove the cellular functionality before going into mass production. The optical drive is marked as a “Sample for Evaluation”. Rather than a normal EMC Number the specifications lapel simply says “XXXX”, and the serial number does not show up in Apple’s online database. While Apple is certainly working on building such a machine, I have serious doubts that Jobs would ever let something as hideous as a giant antennae touch his MacBook air. When do you think we’ll see a 3G enabled MacBook air? I bet this time next summer. 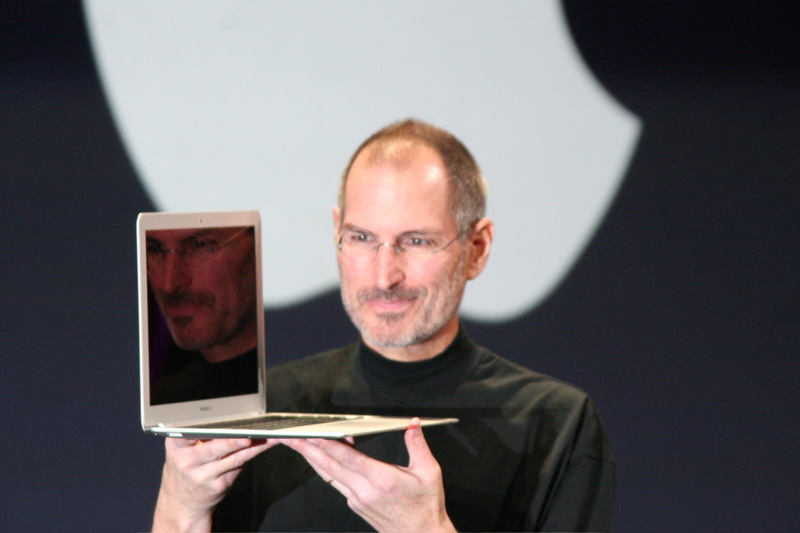 Also see: I love my MacBook Air but Steve Jobs loves it more, $3 billion more. Read next: Online anonymity: A gateway to freedom or abuse?